After a stay of execution afforded to him in the aftermath of the defeats to Ecuador and Argentina in the last batch of World Cup qualifiers, Claudio Borghi knew he and his Chilean side had to deliver a performance of significant improvement in the friendly with Serbia. Ninety torrid minutes later and Borghi had departed, or has he told the media sacked. Ninety insipid minutes; the match clock not acting as a timer for the game but a countdown until La Roja were Borghi-less, something which fans up and down the Chilean peninsula were eager to see. ‘Fuera Borghi’ (Borghi out) was the message scrawled onto Chile’s Juan Pinto Durán training complex in Macul after the 3-1 defeat to Ecuador in the World Cup qualifier. 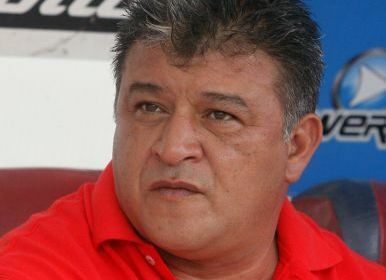 Accompanied by ‘Vergüenza nacional’ (national shame) and ‘Ladrones’ (thieves), the message was clear: changes needed to be made as Borghi’s reputation had hit an all-time low amongst fans. The messages appeared after that defeat to Ecuador and before the game against Argentina. La Roja went out against Argentina like a team possessed; hunting down the ball when they didn’t have it and rampant when they did. 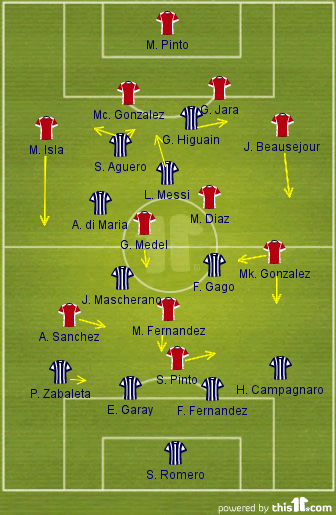 They moved the ball, down the wings, at electrifying speed, bombarding the Argentina rearguard with crosses. Yet their intense first-half pressure did not yield results, instead they trailed two goals to nil; the defence picked apart by what can only be described as a ‘dream’ frontline: Ángel di María, Gonzalo Higuaín, Sergio Agüero and Lionel Messi. 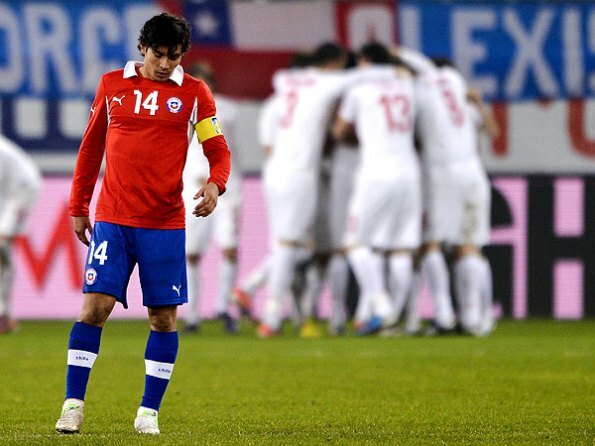 The game finished 2-1 and Chile dropped out of CONMEBOL’s World Cup play-off place, behind Venezuela and Uruguay on goal difference. 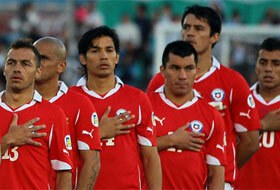 Pace, width, relentless pressing; Qualities that had been missing in Chile’s fall to Ecuador in the previous match. 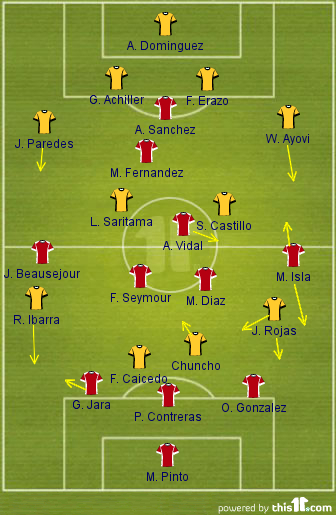 But against Argentina the Chile of old was evident, right down to the defensive deficiencies that ultimately cost La Roja a crucial point (or three) in the race to qualify for Brazil 2014. The opening 45 minutes were chaotic and frantic, 100mph and end-to-end; football on amphetamines. Chile attacked, Argentina attacked, Chile attacked, Chile attacked, Argentina attacked and so on. It was one of those games I feared to look away to make notes on the match without missing anything. Yet, even after such an explosive and positive opening Chile ended the game pointless, undone by their profligacy and Argentina’s ruthlessness. La Roja had chances, good chances, to go in front through Gary Medel, Sebastián Pinto and Mark González, but were hit by two sucker-punches before half-time; a coolly taken Lionel Messi goal and a ferocious individual goal from Gonzalo Higuaín. Borghi’s side tried to find a way back into the game in the second half but could not break down an obdurate Argentina defence until it was too late. 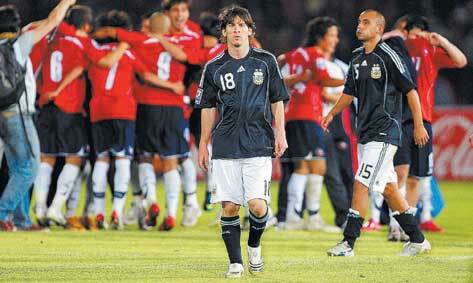 Can Chile upset Messi again? The Estadio Nacional. Chile v Argentina. 16 October 2012. Four years to the day since Marcelo Bielsa recorded arguably his finest win in charge of La Roja; a 1-0 victory over La Albiceleste giving Chile their first ever competitive win against Argentina. Now the Nacional is the scene of Claudio Borghi’s, Bielsa’s successor, last stand. A positive result against their rivals and Borghi should be able to hang onto his job until the next round of qualifying matches, with Chile still in a good position to qualify for Brazil. Lose and the Chilean fans will do their damndest to get their wish of Borghi being relieved of his duties. Fans have already made their feelings known at Chile’s training base in Macul, Santiago; ‘Borghi Out’, ‘Thieves’ and ‘National Shame’ were scrawled onto the training complex while eggs were also thrown. 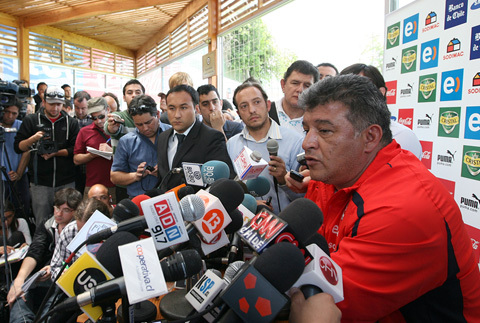 It has been a while since we discussed Chile on here, but when we do there are usually off-field matters to talk about first, taking focus away from crucial World Cup qualifying matches. And once again it is no different as La Roja prepares for the upcoming double header; away to Ecuador on Friday and Tuesday’s home match with Argentina. Only this time Claudio ‘Bichi’ Borghi has had to contend with more than one problem. Firstly, he won’t be on the sidelines in Ecuador or Santiago. A four-match FIFA ban – reduced from five – means that assistant Jamie Vera will take charge from the touchline. Borghi was given a suspension due to a confrontation with the Colombian officials in Chile’s 2-0 away victory against Venezuela that saw the coach sent to the stands. It was reported that Borghi used ‘racist’ language. A claim Borghi has vehemently denied; Borghi is very likely to be telling the truth, shown by FIFA’s reduced sentence and recent documents that shed light on the incident. Borghi’s only offence seems to be using overly aggressive language towards the fourth official.